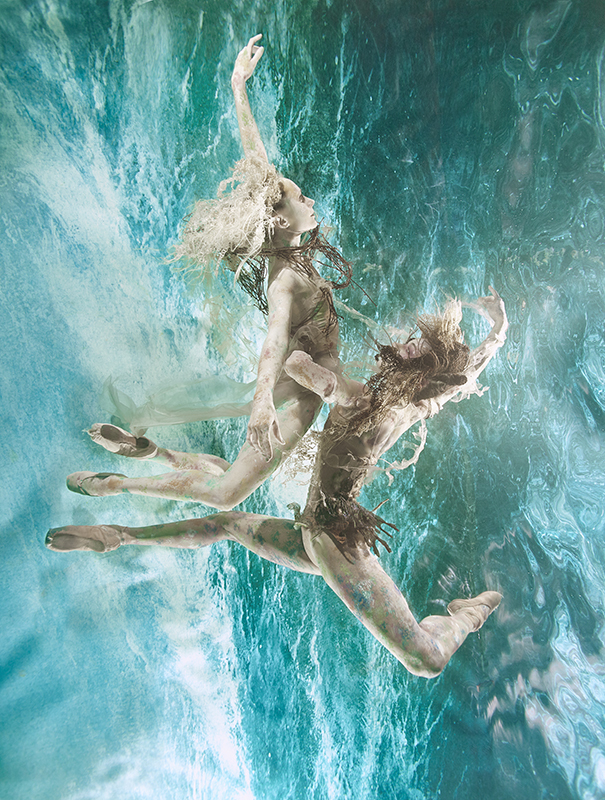 Incredible underwater photographer Zena Holloway recently got in touch with an enquiry about mermaids.. she was shooting dancers from the Birmingham Royal Ballet for their upcoming production of the Tempest. The brief was unconventional, abstract and neutral, maintaining the full outline of the dancers bodies. Rachel made cascading organza seaweed tendrils especially for the shoot, and also provided an existing mermaid corset (because who doesn't have one of those, right?). It was such a pleasure to be involved in this wonderful shoot. The Images are exquisite! Last month we received an exciting request for leather headpieces for the flapper finale of Madonna's Rebel Heart Tour. Commissioned by the brilliant Arianne Philips (costume designer of Hedwig and The Angry Inch and Tank Girl <3), we made an exclusive piece from the Concrete Roses collection. A fingerwave hairstyle which can be styled in under a minute is ideal for the military precision of dancers' quickchange. The particular design Arianne chose was not in the lookbook.. for some mysterious reason. It was clearly destined to be exclusive to the tour and will now be known as the Rebel Heart headband. This original design sketch was featured in a 'first look' article on WWD alongside her formidable roster of designers. Big love to Arianne for including us in her epic design! 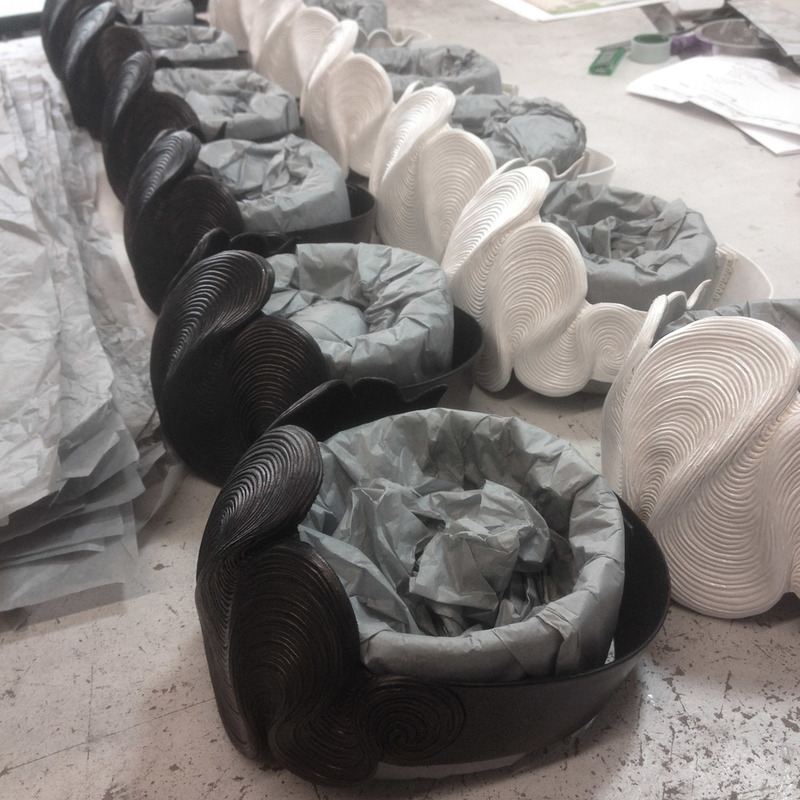 Rachel and Rebecca were joined by the talented Christian Warren Landon and made twelve pieces by hand in East London: 6 in polished black and 6 in pearl white. The carved and moulded leather fingerwaves are made using only European veg tan leather, water, traditional swivel knives and bone folding tools - and infused with a lack of sleep, an excess of swearing and a noble quantity of vodka. These sculptural pieces were never intended to be made en masse. Instead the collection was designed around super minimal use of materials and tools, with all the emphasis on craftsmanship and human touch. How viable this is in the modern world is questionable. It is fascinating how we as consumers perceive the value of ornate craftsmanship, and how this in turn influences design practice. The collection was originally presented with this in mind. It was offered bespoke from the atelier and no wholesale orders were taken. So making a dozen in quick succession to a tight deadline was a baptism by fire as the process is tiring and intense, even for us maniacal leatherworkers. However, you don't say no to Arianne and Madge! ;) So thank you ladies. The result was a perfect commission: pushing the material - and ourselves - to the limit. It was wonderful to work with singer, songwriter and multi-instrumentalist Bishi and her amazing creative team, styling this future-pop visual feast video. Bishi wears a whole Rachel Freire look in the first scene of the video, including a bespoke moulded leather corset, made the night before the shoot.